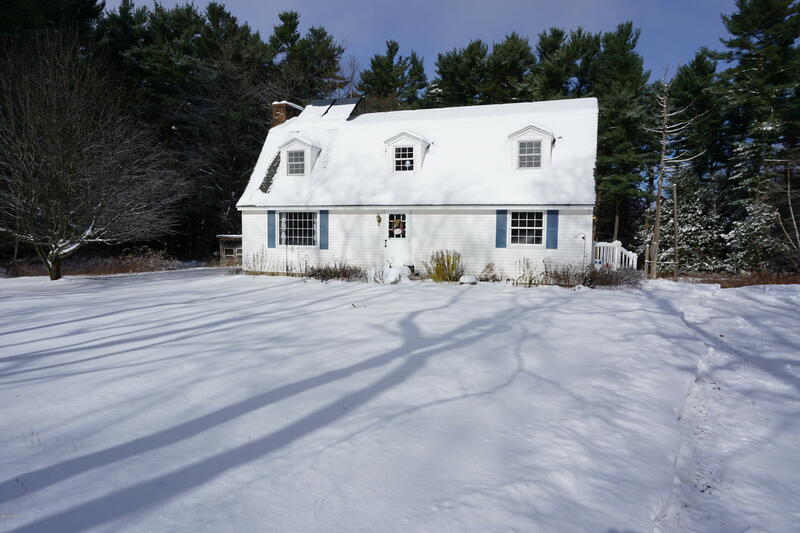 Private 3 bedroom Gambrel Colonial located on an acre lot. Nice wood floors, bedrooms on the 2nd floor, updated eat in kitchen, pantry, dining room and large living room. There is an outbuilding for storage and a walk out basement.